Whether you’re shopping for a new dining room set or an island for more storage, you’ll love our large selection of dining room furniture. 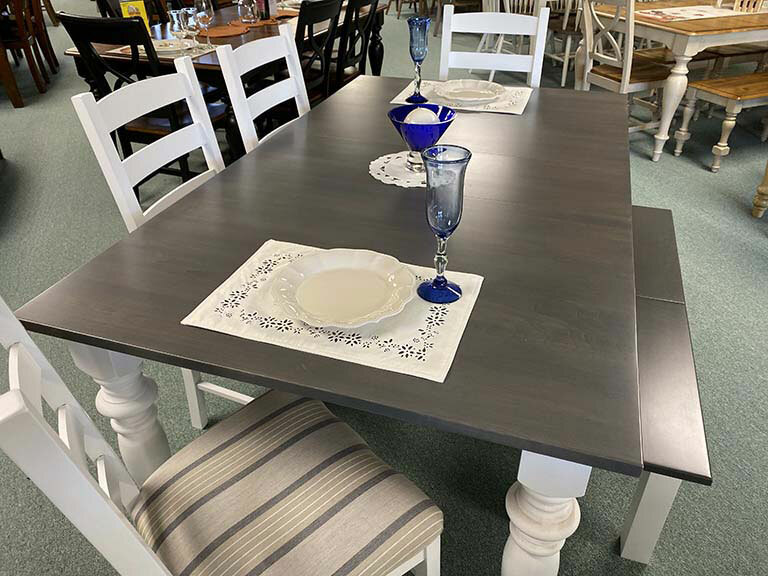 You’ll find everything you need to complete your dining room from small to large tables, islands, hutches, buffets, and a great selection of chairs and bar stools in a variety of styles and finishes. 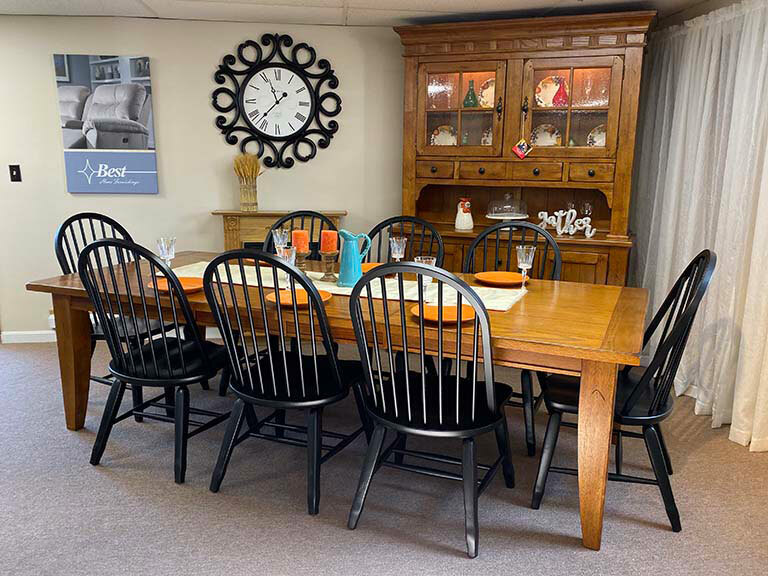 Our dining room furniture department is stocked with quality dining room furniture from the leading manufacturers and you’ll find many pieces made in the USA. At Tuffy Bear Discount Furniture you get quality and comfort all at bear bottom prices. We are proud to offer Daniel’s Amish Furniture. 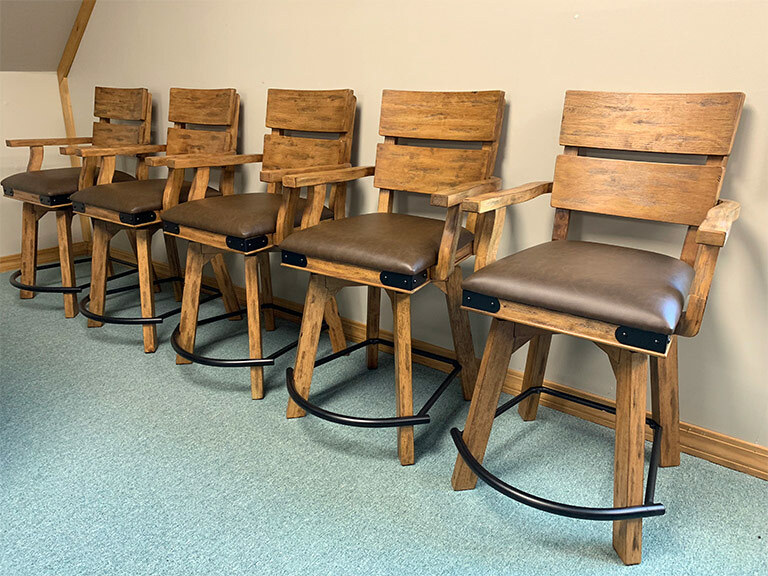 Their furniture is hand crafted in the heartland of Amish living in Holmes County, Ohio. Dining room pieces are available in your choice of style, wood, hardware and sizes built to last a lifetime. 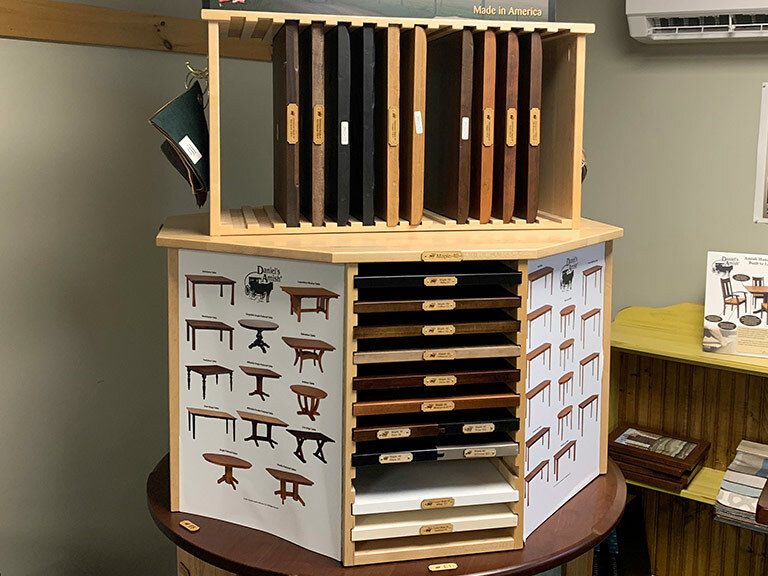 To see the selection of options available visit their website; Daniel's Amish Furniture and let us order you a custom piece of handcrafted furniture or choose a piece from our showroom floor.